A two-year-old Nigerian boy who was found emaciated and riddled with worms after his family left him for dead has made an incredible recovery. A picture of the starving toddler being given a sip of water by an aid worker broke hearts around the world when it was published in January. 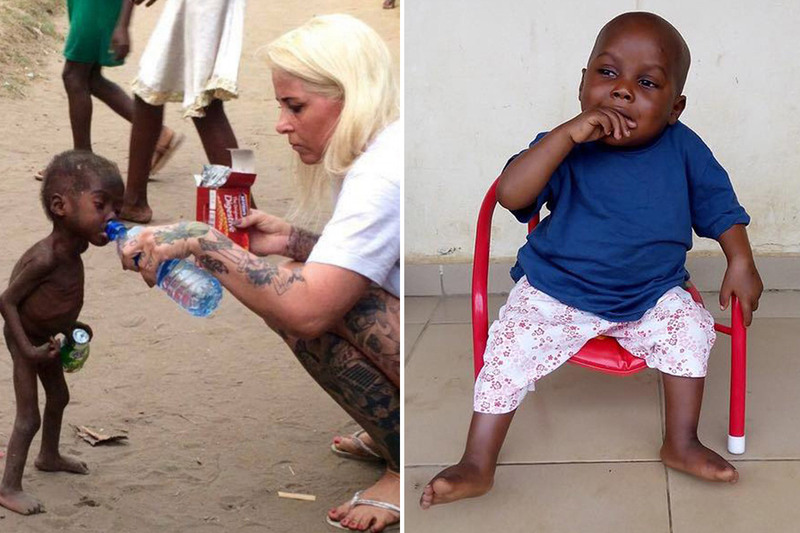 The boy, now called Hope, was abandoned by his family because they thought he was a witch and was found in the streets by Anja Ringgren Loven, a Danish woman living in Africa, on January 31. And now Ms Loven has shared a series of photographs showing Hope’s miraculous recovery in just eight short weeks, and says he ‘is really enjoying life now’. This entry was posted in Life Style. MUST WATCH | This is how West Indies Cricket team celebrated their victory against India. Believe it or not: This is how You can SEE a Ghost!